The ‘Dark Sky’ was the first interplanetary probe to utilize solar electric propulsion, also known as ion engines. 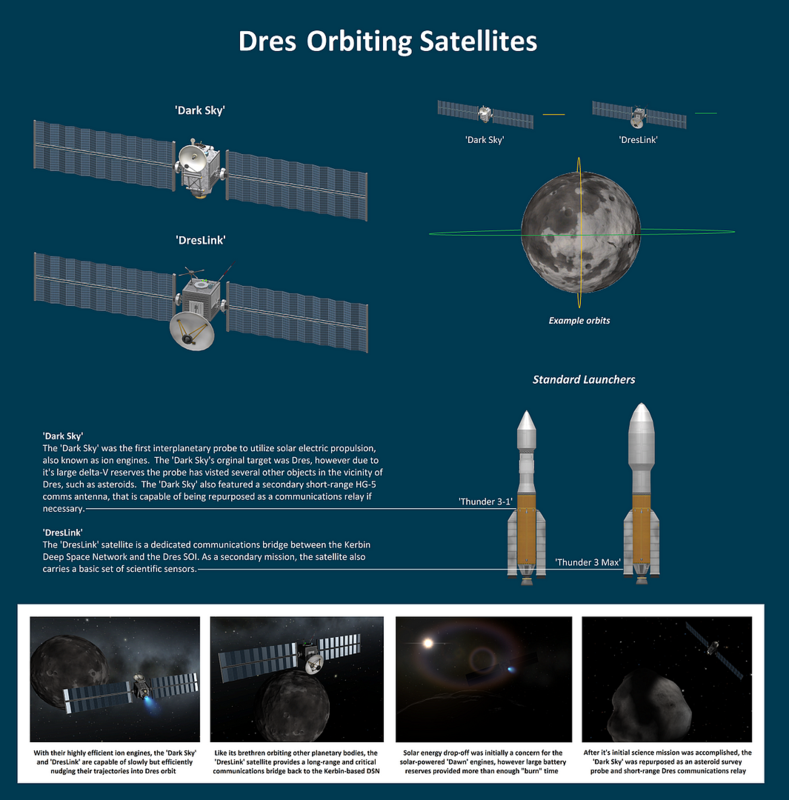 The ‘Dark Sky’s orginal target was Dres, however due to it’s large delta-V reserves the probe has visted several other objects in the vicinity of Dres, such as asteroids. The 'Dark Sky’ also featured a secondary short-range HG-5 comms antenna, that is capable of being repurposed as a communications relay if necessary.